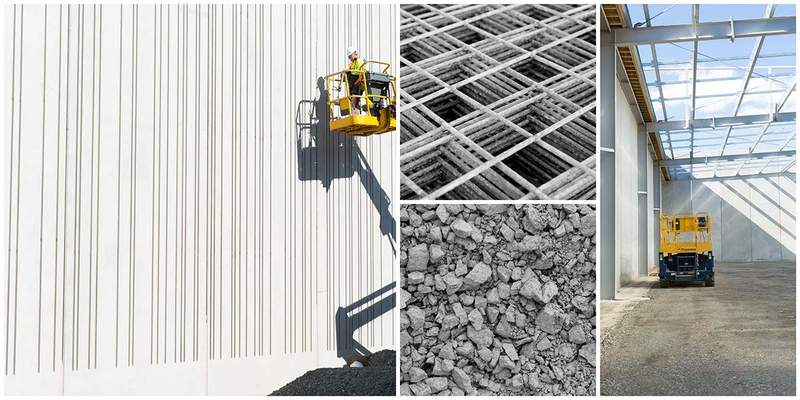 Q: How can we build on our well established brand? 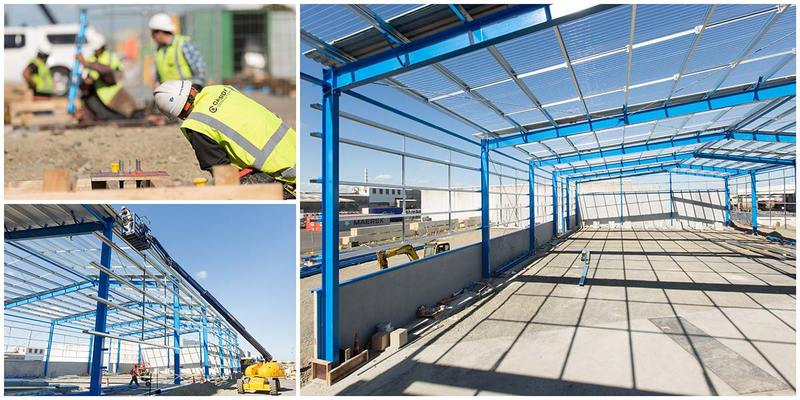 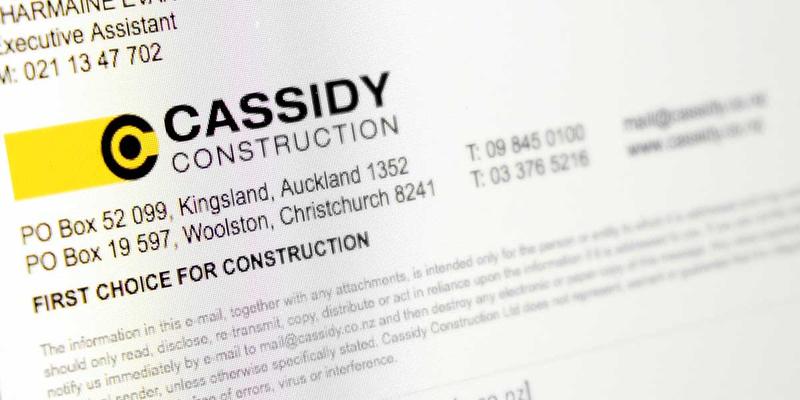 Cassidy Construction is a well established company with offices in Auckland and Christchurch. 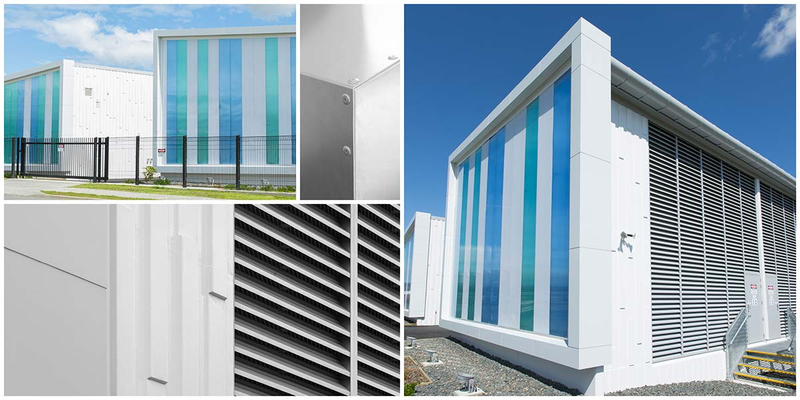 Since their launch, they have built a strong reputation and an enviable list of clients. 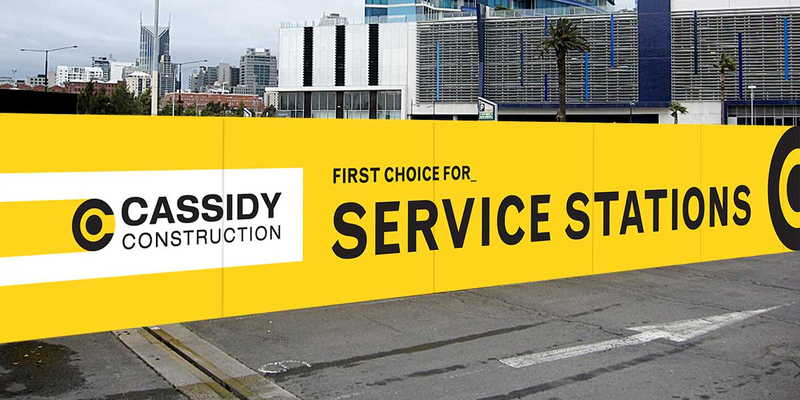 Their approach to marketing is deliberately quiet. 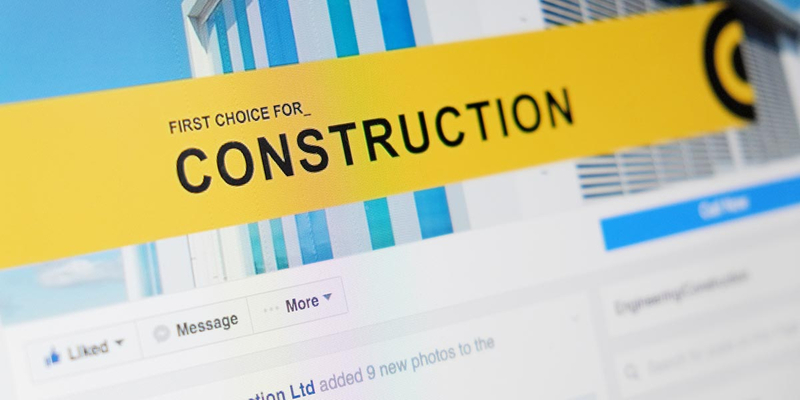 They prefer to attract business through a ‘pull’ rather than ‘push’ strategy. 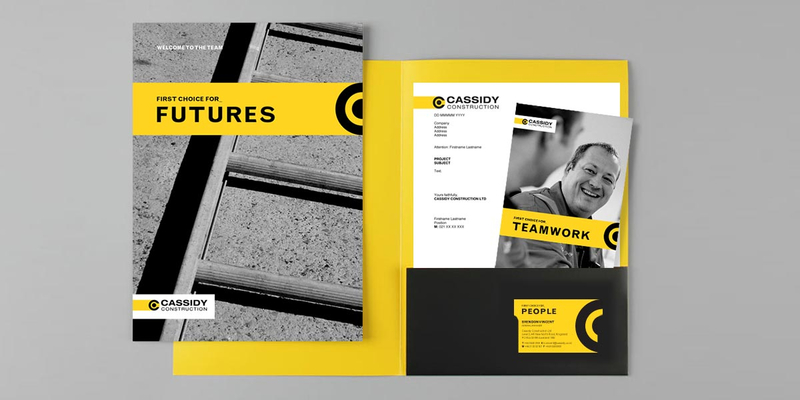 Angle was brought in to carefully ‘turn up the volume’ – to look at and define Cassidy’s brand attitude and personality, while maintaining the recognisable parts of their brand identity. 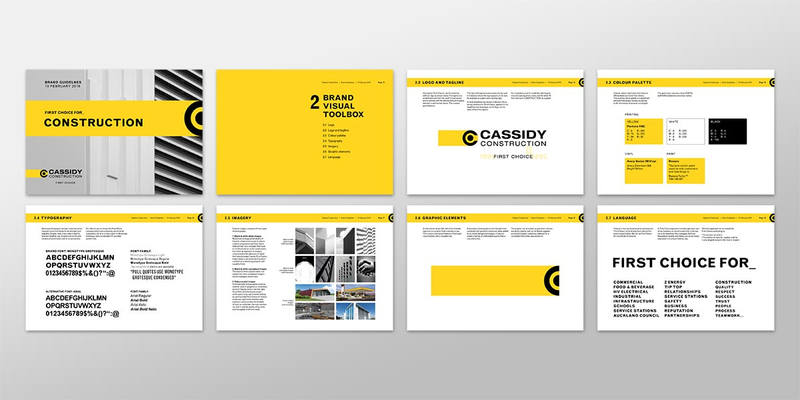 Next, Angle evolved the visual components of the Cassidy brand identity to reflect the brand definition. 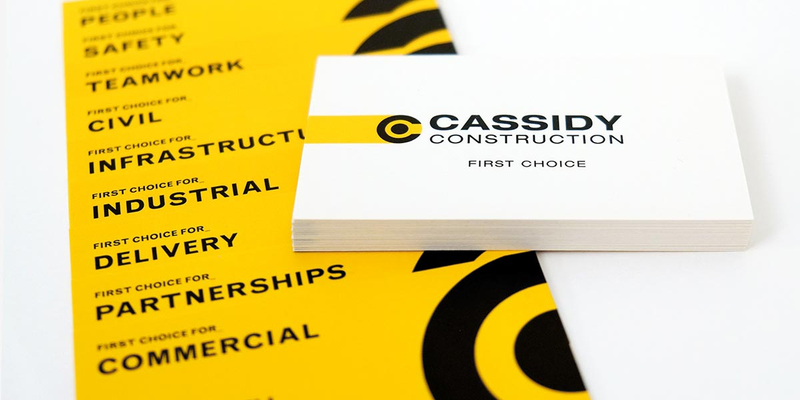 The revised branding retains their powerful black and yellow colour palette and the existing logo. 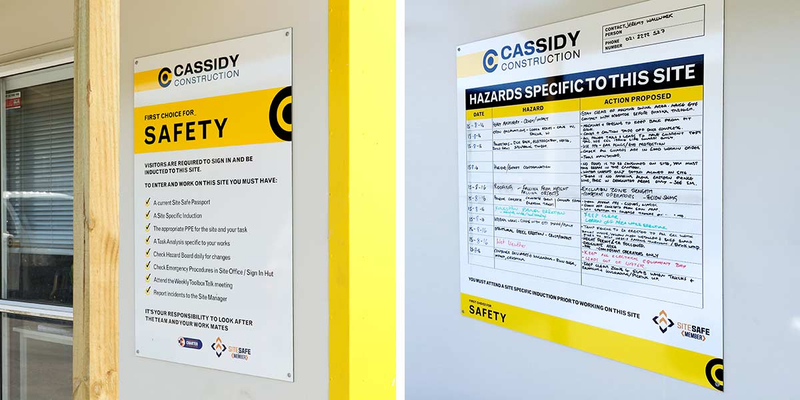 We created a simple and flexible way to communicate why Cassidy is ‘First Choice.’ Cassidy is ‘First Choice for safety, construction, people, teamwork, quality and many more reasons. 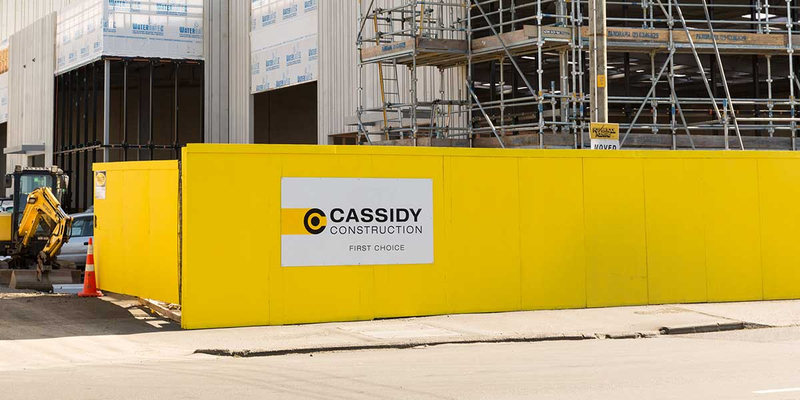 The new branding clearly articulates key messages and points of difference in a uniquely Cassidy Construction way. 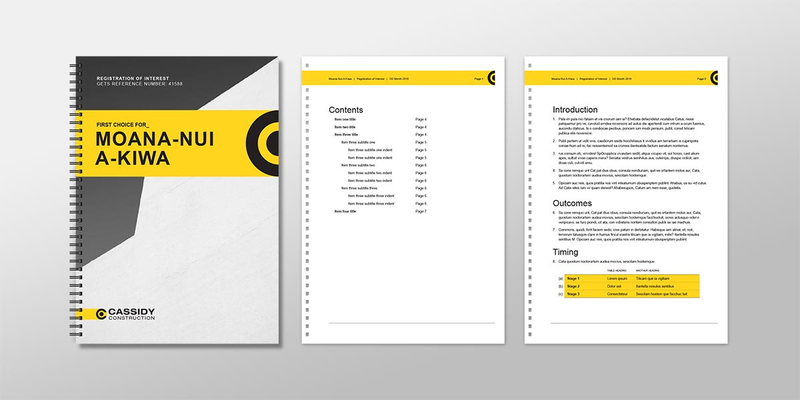 The brand system is ‘no frills’ and easy to manage but its simplicity is its strength. 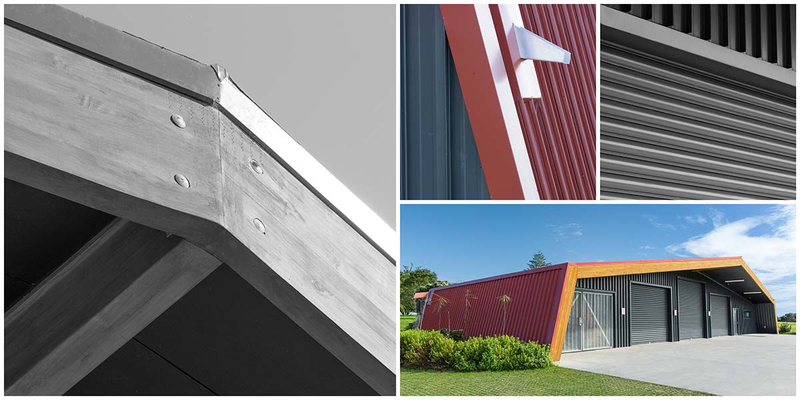 With an ongoing photography brief and new Angle-designed collateral and website being rolled out, the result is a brand that feels premium and deserving of a First Choice construction partner.